Is It Morally Right to Use Unmanned Aerial Vehicles (UAVs) in War? Several robotic automation systems, such as unmanned aerial vehicles (UAVs), are being used in combat today. This evokes ethical questions. 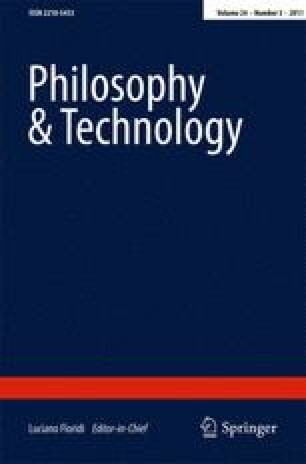 In this paper, it is argued that UAVs, more than any other weapon, may determine which normative theory the interpretation of the laws of war (LOW) will be based on. UAVs have advantages in terms of reducing casualties for the UAV possessor, but they may at the same time make war seem more like a risk-free enterprise, much like a computer game, lowering the threshold for starting a war. This indicates the importance of revising the LOW, or adding some rules that focus specifically on UAVs. Foss, M. (2008). What are autonomous weapon systems and what ethical issues do they raise, June 27, http://marekfoss.org/works/Autonomous_Weapons.pdf. McIntyre, A. (2008). Doctrine of double effect. The Stanford Encyclopedia of philosophy (Winter 2008 Edition), Edward N. Zalta (ed. ), URL = <http://plato.stanford.edu/archives/win2008/entries/double-effect/>. Orend, B. (2008). War. In Edward N. Zalta (Ed. ), The Stanford Encyclopedia of philosophy (Fall 2008 Edition). URL= http://plato.stanford.edu/archives/fall2008/entries/war/. Mayer, J. The predator war. The New Yorker: http://www.newyorker.com/reporting/2009/10/26/091026fa_fact_mayer. Predator pilot’s stress far from remote: http://www.lurj.com/news/26412169.html. United States Navy Factfile, http://www.navymil/navydata/fact_display.asp?cid=2100&tid=800&ct=2.